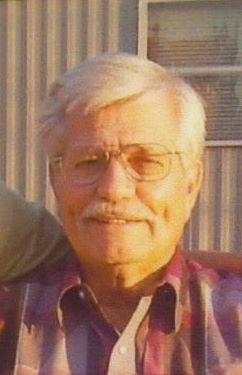 Johnnie Alvin Cox, 83 of Trinidad, Texas passed away on December 1, 2018. He was born in Rendon, Texas on May 4, 1935 to the home of Charlie & Ola Mae Cox. Johnnie was the proud owner of Cox Air Conditioning & Plumbing in the Cedar Creek Lake Community. When Johnnie was younger he liked fishing and hunting, but as time went on he enjoyed listening and playing in gospel & country music bands, and from time to time you could find him playing at the local VFW or the American Legions Post. All of his life he was a very hard worker; and made sure that his family never wanted anything. Johnnie always enjoyed being with his family and friends. Johnnie is survived by his children Rick Cox, Troy Cox & his wife Faye and Darlene Elmore; grandchildren Christopher Cox, Jerry Cox Jr., Jason Cox, Chad Cox, India Cox and Jinger Elmore; and 10 great – grandchildren. He has many nieces, nephews, cousins and a host of other family and friends. Johnnie will be dearly missed by all who knew him. Johnnie is preceded in death by his parents, sister Charlene Carlot; his wife of 58 years Joyce Cox; sons Bobby Sean Cox & Jerry Cox; and daughter in law Cheryl Cox. Bro. Don Bell with Lakeview Assembly in Seven Points, Texas will officiate for the Cox family.